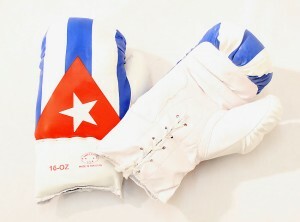 When we hear or read the names of boxers like Guillermo Rigondeaux and Erislandy Lara, just to mention those fighting this weekend, we immediately associate them with amateur boxing and the Cuban school style. They were both national champions, kings of Olympic boxing and consecrated figures of the National Team who now have a professional world championship. However, the big TV networks and promoters are still unwilling to see them as good as they are, their boxing, their skills that will allow them to rescue yesterday’s boxing. That boxing that attracted all the fans for what they saw. Neither of them has annihilating punching power, they are white with light color eyes either, nor magazine model face. They were both born in Cuba, not in the United States, and also, at least in the case of Rigondeaux defeated a boxer who was supposed to be Bob Arum unbeatable, the Filipino Nonito Donaire. Now they are making him pay for it. (Even if they say they aren’t). However, I personally believe that they are both great boxers with style, art and “hungry” enough to be the best. Since I saw them in their time of national selection, when they fought Venezuelans in the various competitions, or against any other opponent, they were superior and very determined to win. They haven’t lost what makes them unique and still have enough to be world champions. On Saturday, Rigondeaux will defend his WBA Super-Bantamweight title against Joseph “King Kong” Agbeko. Not an easy opponent, who in addition is higher and has more distance than the Antillean, however, this is not the first time the Cuban faces situations like this. I hope the Cuban will do his job in a fight that should be very dramatic, however he should retain the title. On his part, Erislandy Lara will fight Austin Trout for the super welterweight interim title. The American is the former WBA champion, and the Cuban, is the current champion. They are both elusive, but Trout is a southpaw and that will cause some problems to the Antillean, however, I think the power in the ring is Lara’s, so, in theory, he has the advantage to come out victorious. I publicly admit and confess that both fighters are my favorites, so it is difficult for me to go for any of them. Nonetheless, I think Lara has more in his favor. Should Trout fall, his life will complicate; while very interesting doors will open to the Caribbean. In sum, none of the Cubans fighting this weekend should lose. However, in boxing anything could happen.